They say “the more you eat, the more you know.” Err…sorry, we say that. 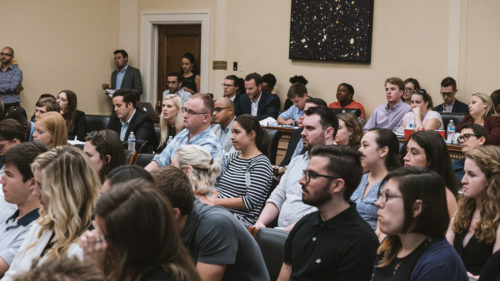 Which is why we’ve continued to host a luncheon series on Capitol Hill made for staffers and interns alike. Last Friday FamousDC hosted our second installment in our lunch-and-learn series, titled, “Food For Thought”. 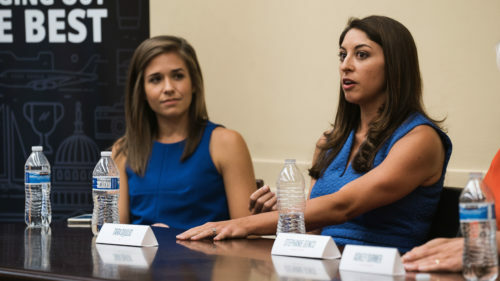 The conversation featured a panel of pretty badass women in public affairs, government relations and policy. 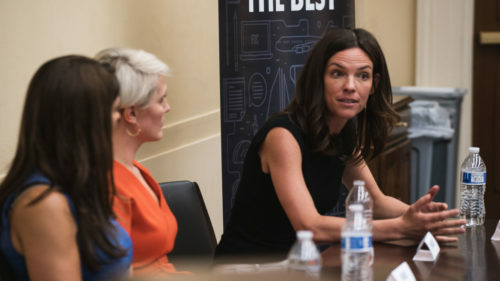 Tara DiJulio of GE, Stephanie Genco of S-3 Public Affairs and Ashley Durmer of Ligado Networks discussed how to be a boss at your job – whether you’ve been in the game for a bit, or you’re just starting out. Aside from the conversation, the food was pretty good if we do say so ourselves. I mean, who doesn’t like Chick-fil-A? Exactly. Moderator Kathryn Lyons wasn’t the only one who asked the questions as the discussion was opened to the floor with an audience Q&A.